Most of the time, users ask the question in ROM thread is ” How is battery life with this ROM? “. Every ROM developer adds few battery saving tweaks to their ROM. But the truth is 70% battery life is depends upon your usage, apps installed and many other things and 30% on battery tweaks added by ROM developer. Many times one user comes with great battery life result and other user complaints that the battery drain is Fast. Reasons could be many like many apps drain battery (for eg, Facebook apps is most commonly used app which drains battery), 3G (3G consumes approx. 30% more battery than 2g/wi-fi). Many users judge battery life by total hours and other users judge by total screen time. the one who judges battery life by total hours thinks, he got poor battery life because total hours are only 15hr or less, but he didn’t notice screen on time( mostly it should be 5hr+ ). On the other hand, the user who checks the screen on time thinks about the user who got 2days battery life is because he doesn’t use mobile, just stand by time is more. So which is the correct way to judge battery life??? Actually, both are the right way. But the user should consider both these cases, not just one. So if you get the 5hr+ screen on time with total 15hr or something, then this is also good battery life and if you get 2 days battery life with 4hr+ screen on time, then this is also good battery life. So it depends on how you use your phone. 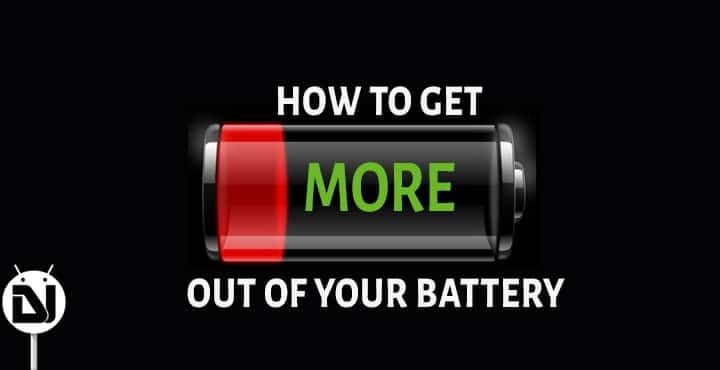 Always let battery drain below 5% then charge it to 100%, as soon as battery level reaches to 100% then boot into recovery and clear battery stats. Turn off GPS/Bluetooth when it’s not necessary. Avoid use of 3G, use 2g/wifi. Remove Bloatware apps. How to check?? install better battery stat or any other app from market and check. Use the kernel which supports Under Volt (UV). The first UV by -25mV on each step, if the values are stable then UV it by -50mV. Find correct UV values in this way. I am not posting UV values because every device can have different values, and can be led to an unstable device. You can also Under Clock processor(UC), Set minimum to 100(only if your custom kernel) or 200 and max to (decrease by 200, for example, if its 1.2 Ghz, make it 1000Ghz).